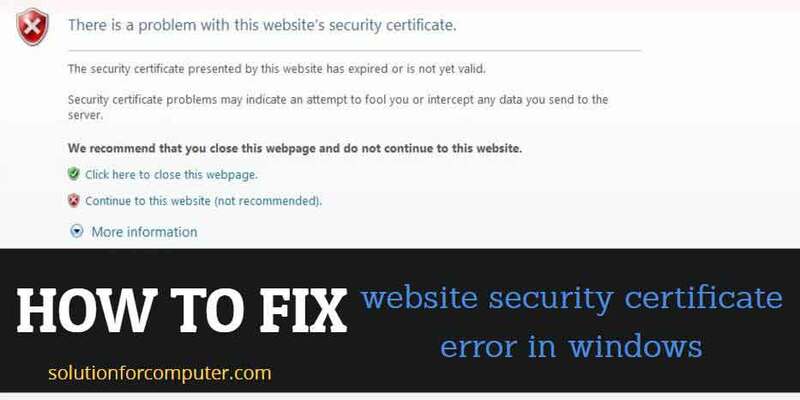 There is a problem with this website security certificate is very common error in windows. This error occurs when you open a site URL in your web browser. But this is not a big problem you will be solved it easily.First you need to know the cause of security certificate error. Date and time incorrect and website is not trust-able is main reason of error. 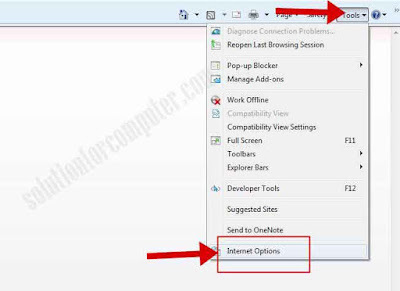 If you have facing this error problem in your computer so don't wary. 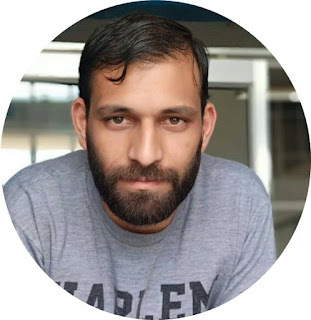 I will help you to fix this security certificate error in your computer. So to fix this error you have to follow the steps below. First check your computer date & time is accurate or not. because many times this error occur when data and time is not correct in your computer. 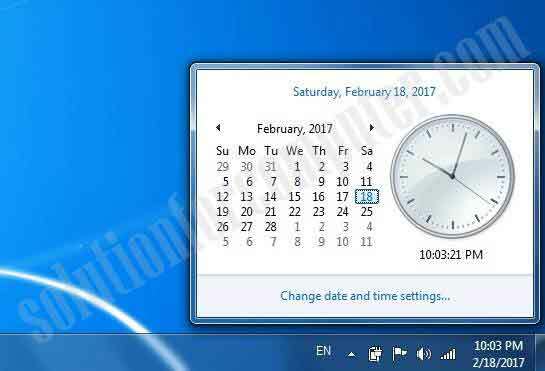 If date and time is incorrect , correctly it and then see security certificate error is resolved or not. 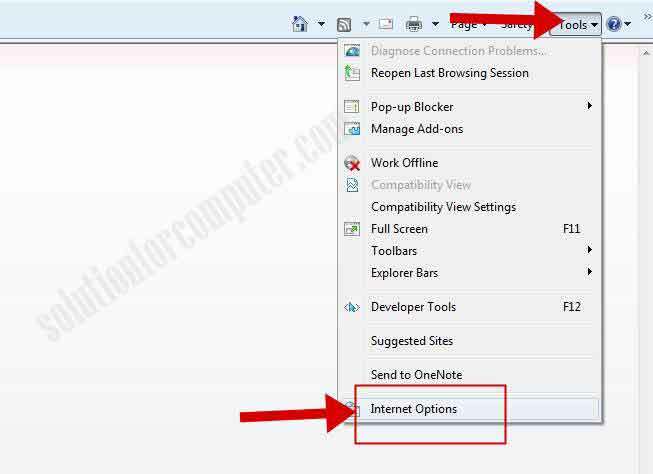 Open internet explorer and Click on tools and select Internet Option. In internet option click on advanced option. Find security in advanced option. 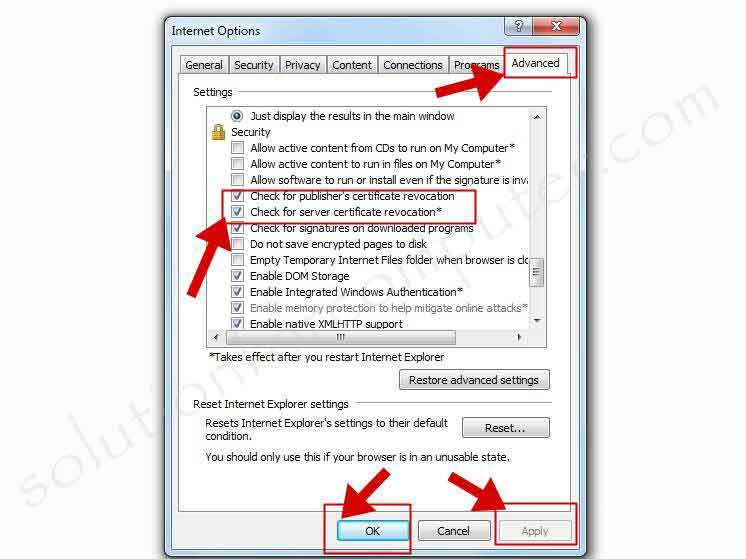 Restart your browser and see your Security certificate error is now fixed. I hope this article is helps you to fix security certificate error in your browser. If this article is helpful for you so please share this article on social media- Facebook, google plus, Twitter or other social media.